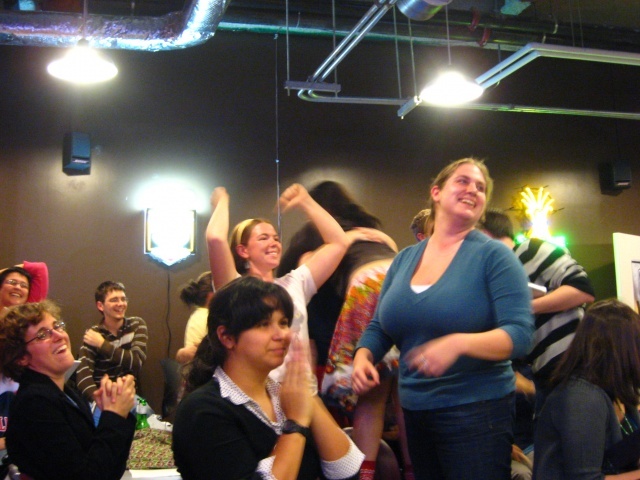 This was the scene moments after they announced Obama's victory in the Grinnell campus pub. It erupted into cheers and dancing and music and excitement. It was really a lot of fun. I've never been so invested in an election, but I'm glad that this was the first one I got to vote in.